Often in the Northwest June can be cold, rainy and gloomy- “Junuary”. This year, it’s proving to be a fickle weather month, warm and sunny one day, then cool and showery the next. The plants still know that summer is coming, though, with days that are stretching as we near the solstice. The tomatoes and peppers, planted in late April, are starting to take off, especially the tomatoes. Many of the plants already have fruit. The peppers and eggplants are lagging behind. 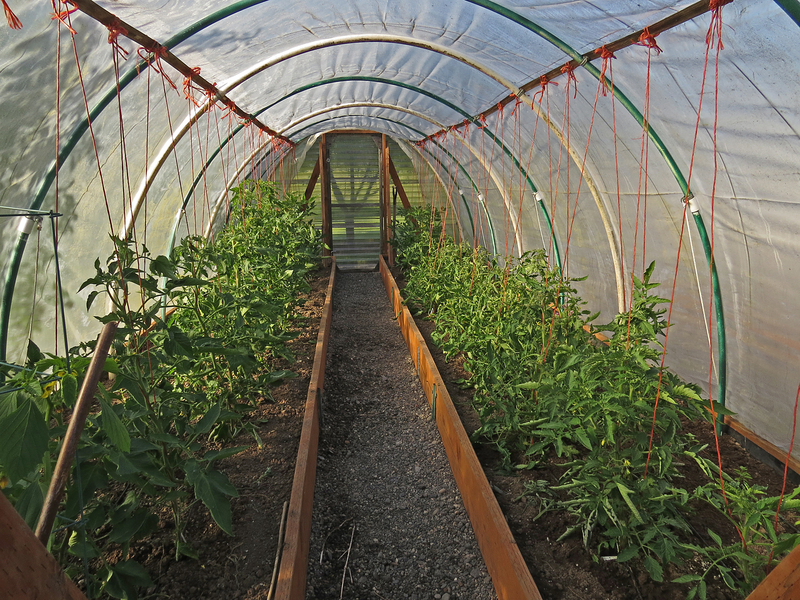 Even with the added warmth of the hoop house, the cool weather is not to their liking. 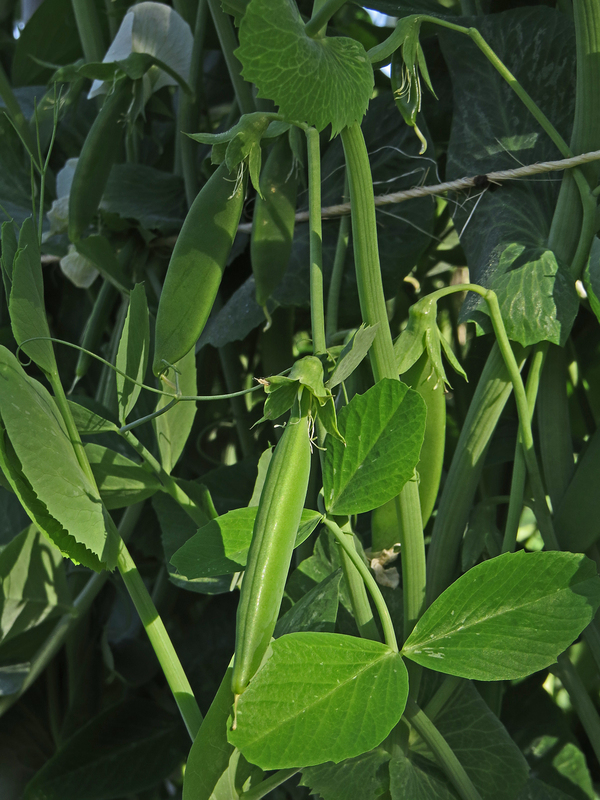 The snap peas I planted in March are just about ready to eat. Sugar Snap do take longer than some of the short varieties, but I love their sweet flavor, and they will keep producing for 6 weeks or more- keeping us in peas for the table and for the freezer until the beans come on in August. The rhododendrons are winding down in the garden, and the late peonies are just about over as well. Without planting more perennial beds (or !horrors! annuals), color in the garden will be more subdued until the explosion of fall tones. There are a few summer blooming things scattered about, but the riot of spring is winding down. 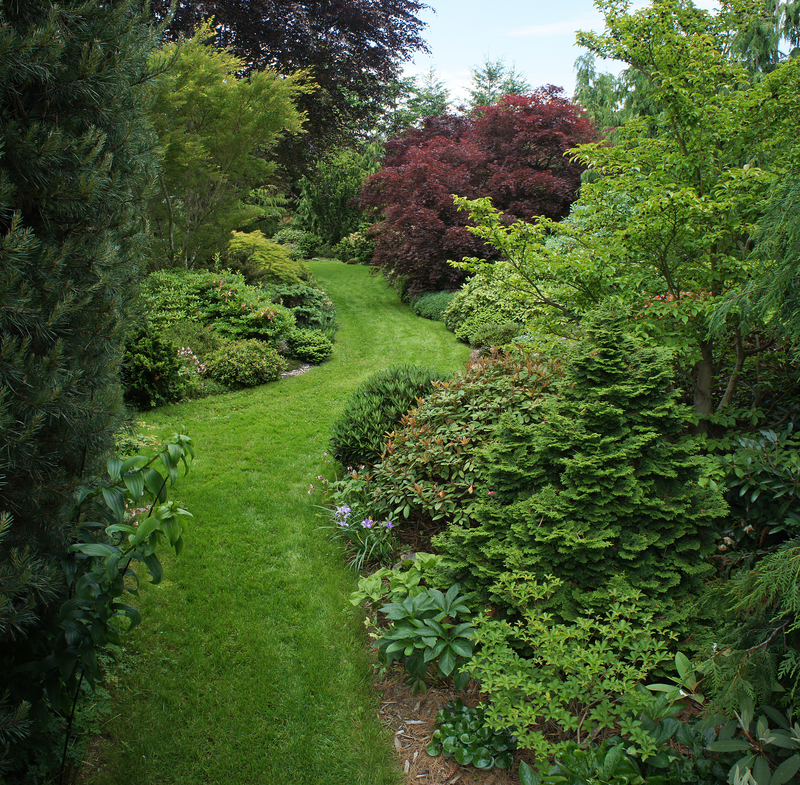 And that’s okay- the garden was really planned around the textures and many tones of greens. Bird life continues to diversify as the garden matures. 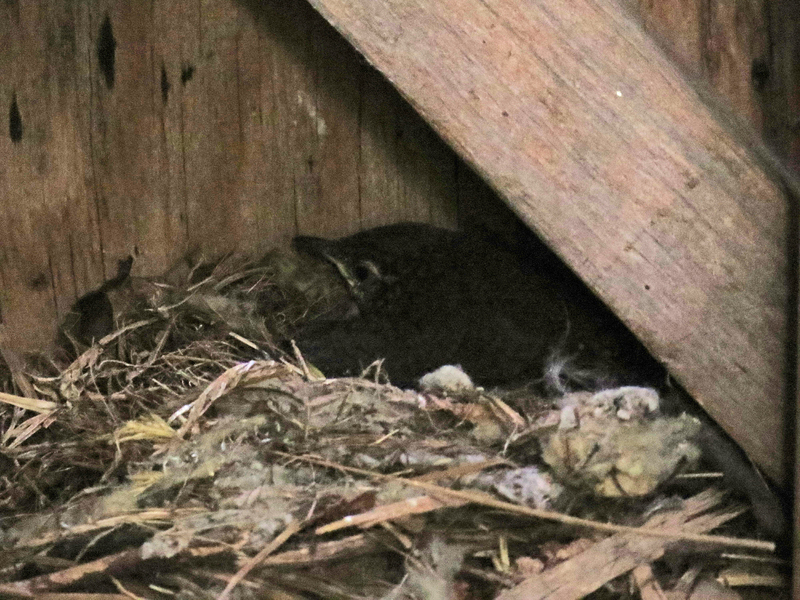 We have a Bewick’s Wren nesting in the garden shed, we think for the second year in a row. Forgive the slightly blurred shot- I didn’t want to disturb her on her nest. The male often sits right outside the shed and scolds us as we go in to get a tool. I always apologize…but that’s where all the gardening tools are stored! Categories: Birding, Gardening, Veggie Gardening | Tags: Birds, gardening, gardens, peas, tomatoes, wren | Permalink. May is the month that peonies really make a statement in the garden. But before the named hybrids begin to bloom, we welcome the diminutive species peonies. 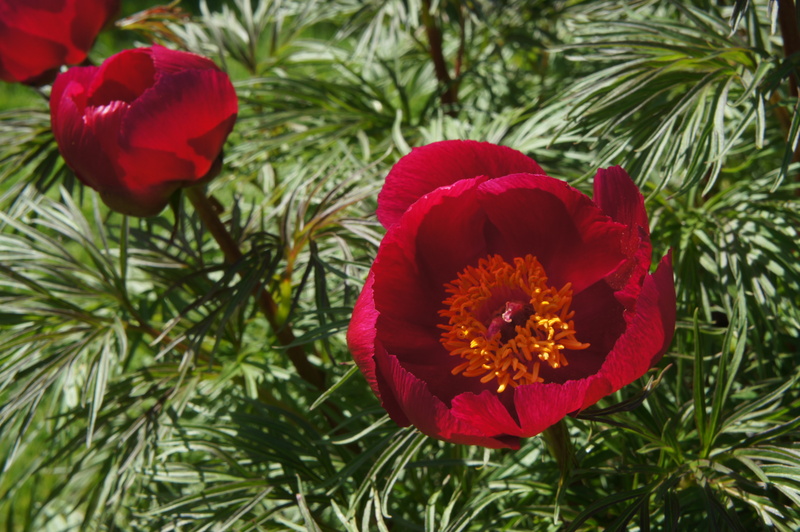 The first in our garden is Paeonia tenuifolia, the Fernleaf Peony. This European native would be worth growing just for its ferny foliage, but the early red flowers are pretty showy, too. It likes limey soil, so we do need to add lime on occasion to keep it happy in our acidic soil. Next to bloom is Paeonia mlokosewitschii, the Caucasian Peony. 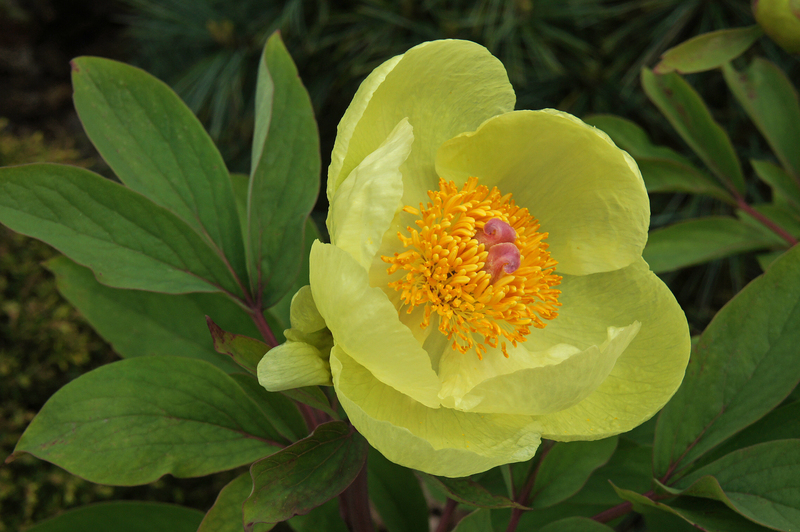 Another peony of short stature, this peony has lovely foliage and cheerful single yellow flowers. This one is happy with our heavy, acidic soil, and every year the clump gets bigger. 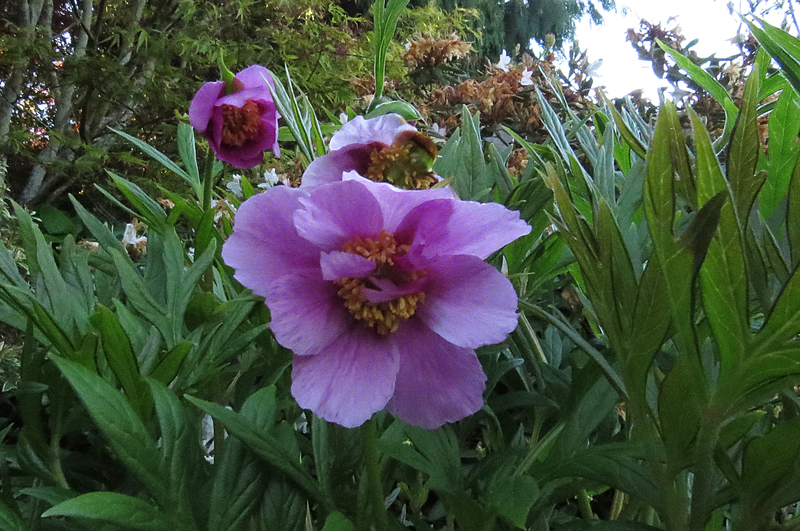 Our third (or maybe first, since it was the first species peony we got) is Paeonia veitchii, Chinese Woodland Peony. This one likes partial shade, and is so happy in the garden that it self seeds. It is fun to have a peony that will bloom in less than full sun. In another few weeks, the hybrid and tree peonies will bloom, with their enormous flowers. For now, we’re enjoying the smaller ancestors and their smaller blooms. Categories: Flower Walks, Gardening, Ornamental Gardens, Uncategorized | Tags: flowers, Garden, peony, Silver Creek Garden, species peony | Permalink. After yesterday’s rain, today started with broken clouds. After breakfast, we walked around the garden, enjoying the cool spring morning. 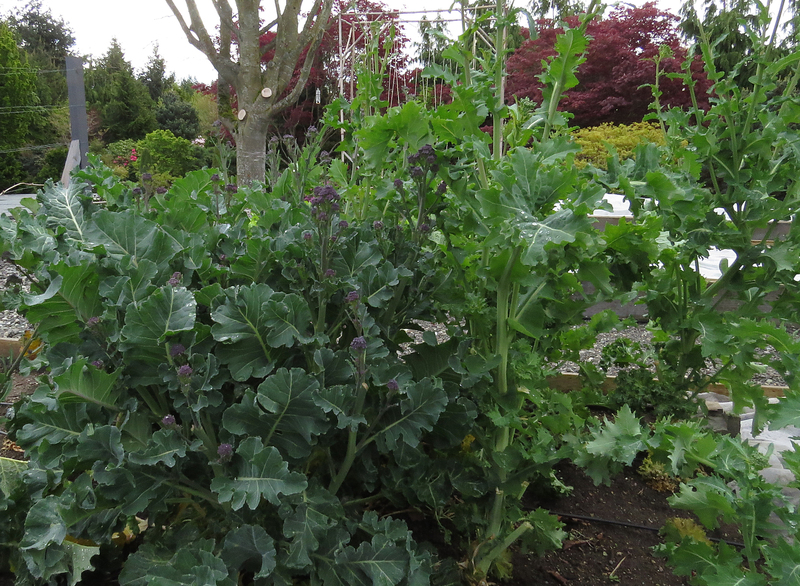 Much of the spring garden is really coming into bloom, and the overwintered veggies and early spring greens are almost as ornamental as the rockery plants and rhododendrons. 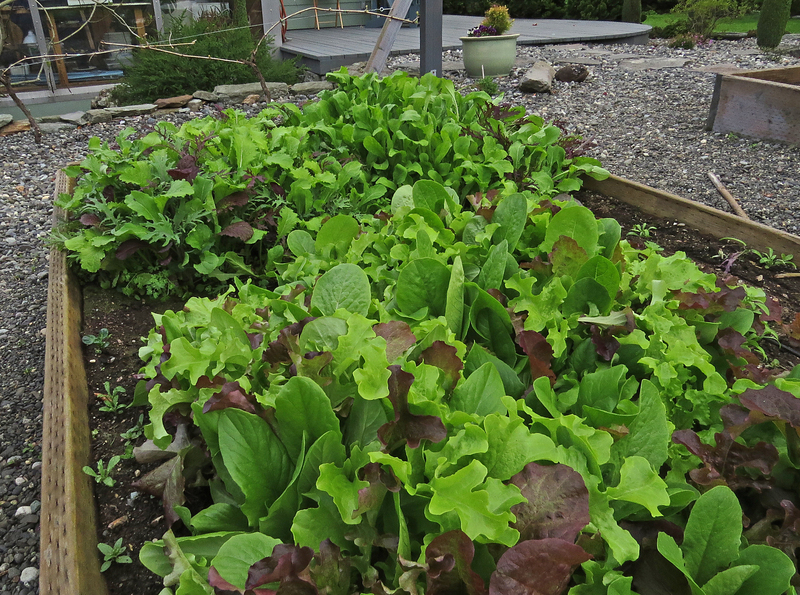 Started in early March, these greens are keeping us salad right now. 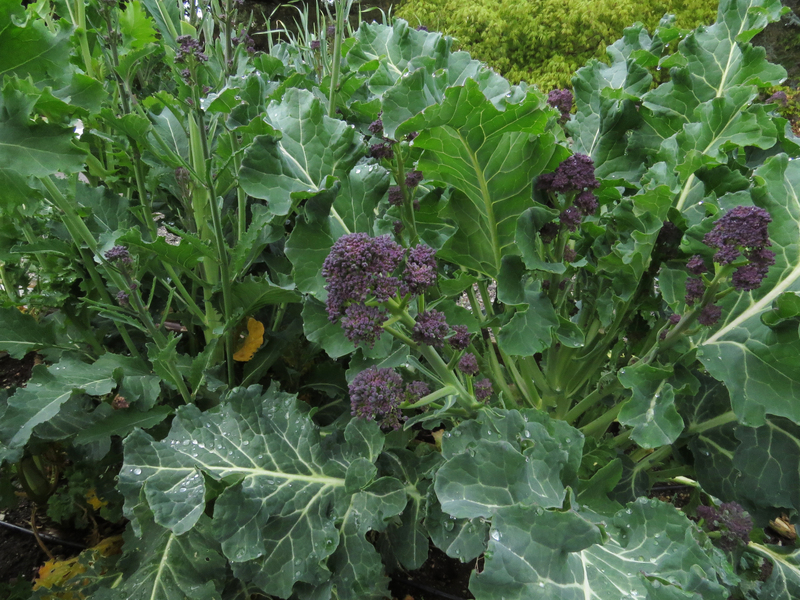 The broccoli is pretty good, so I’ll probably grow it again. That’s assuming that it is as hardy as kale. We had a pretty mild winter. We next walked into the southern orchard. We are having an unusual spring, and all the blooms are compressed. 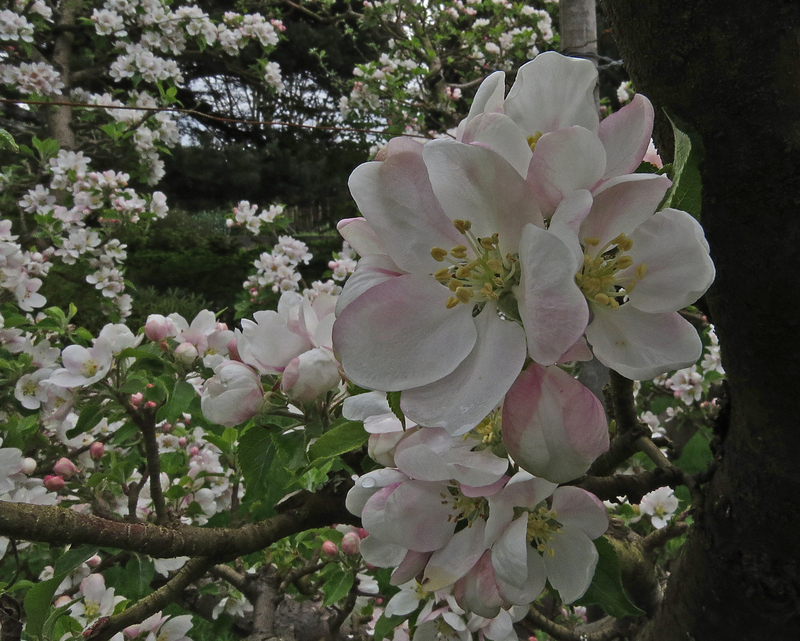 We rarely have all of the apples and the pears and the pie cherries in bloom at one time. Usually it’s a progression, but not this year! Only the cider apple trees are lagging behind, and that is completely normal. Unfortunately we aren’t seeing many bees. We debated renting a hive this year, but put it off because of our vacation. We might end up regretting that. 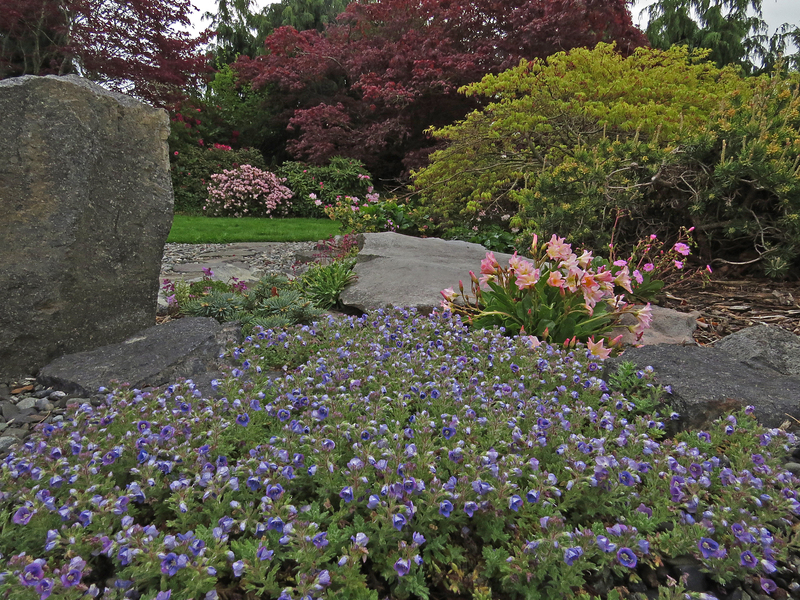 The front rockery is in full bloom with lewisias. We have so many now- they like our rockeries so well they self seed. They will be in bloom for the next month or so. 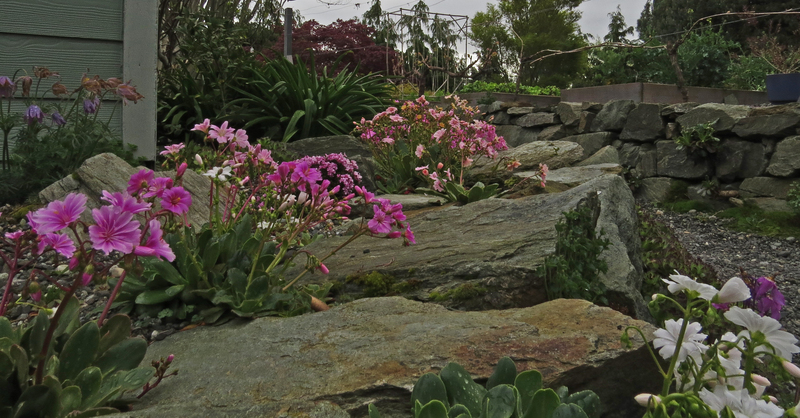 One of the newer rockeries is the rebuilt ledge garden. It looks like everything is doing well there after the first year. 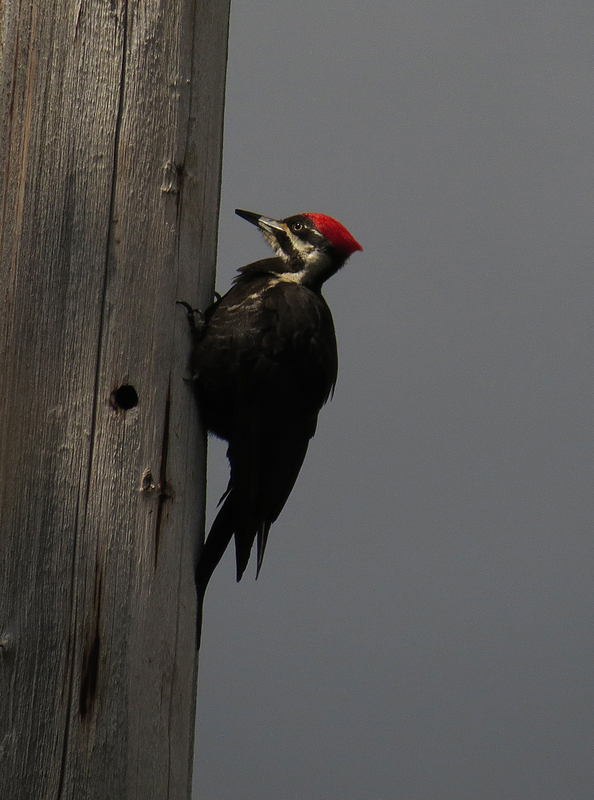 We had a mid-morning visit from this pileated woodpecker. We had a suet feeder up this winter, and they started visiting from the creek area to feed then. The feeder has been gone more than a month, but they still visit regularly. I guess even birds have hope! Categories: Birding, Gardening, Orchards & Fruit Growing, Rockeries, Uncategorized, Veggie Gardening | Tags: Garden, Home, Plant, rockery, Spring greens, Vegetable | Permalink.